15 Facts About Love That Will Set Your Heart Racing! Love is a mystery. A thrilling, confusing and exhilarating mystery that has left all of us tongue-tied and googly-eyed at some point in our lives. Described by most as being an inexplicable feeling, love continues to dumbfound us. Well, not anymore. Here are 15 facts about love that will set the record straight. Take notes, because this is why you can’t eat, why you’re still up at night reading his texts and even why you’re in love with the idea of love. 1.Your hearts’ literally beat together! 2. Brain scans show that being in love evokes the same euphoric feeling as being on cocaine, in human beings. 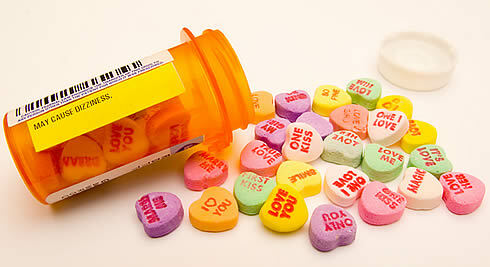 It seems that love really is the best drug. 3. Scientific research has shown that being in love reduces your productivity. At least you know who to blame the incessant procrastination on, now. 4. Each new love interest could cost you two close friends, a study conducted at Oxford University found. A new relationship, in addition to taking up all the space in your head, eats away into your free time as well. In fact, you may find that newfound love puts considerable strain on your friendships. 5. Recent studies have shown that when you fall in love, the brain releases the same combination of neurotransmitters and hormones that are released by amphetamines. Next article Believe It Or Not! 15 Extraordinary Animal Facts That Are Hard To Digest!